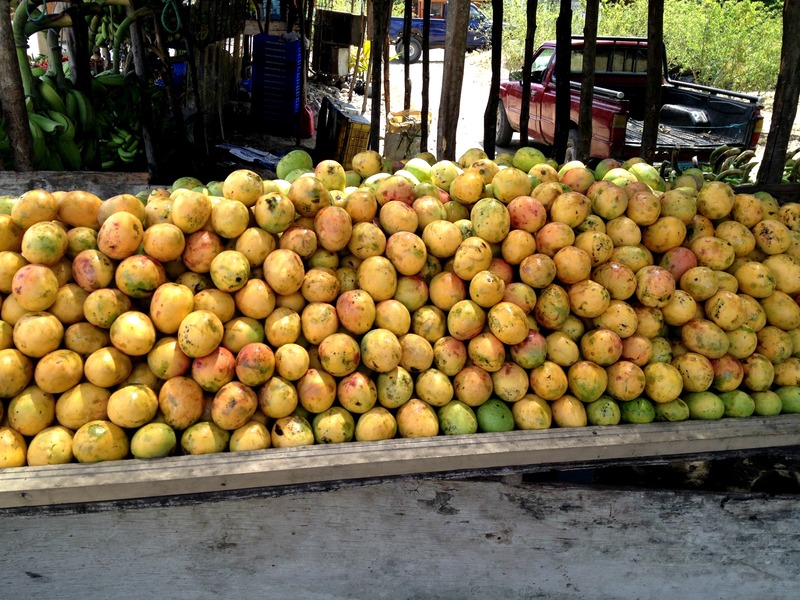 There are two basic categories I miss from my home island of the Dominican Republic (aside from my family and friends): fresh tropical fruits and…. the rest of the food! Today, I’m sharing some photos from our latest trip this past fall. First and foremost, I miss the fresh fruits. Actually, even more so is the availability of all these tropical and Caribbean fruits I can’t really get my hands on in New England. The stand above is about a 3 minute walk from my parents house and the sign translates to 4 items for $100 Dominican Pesos. 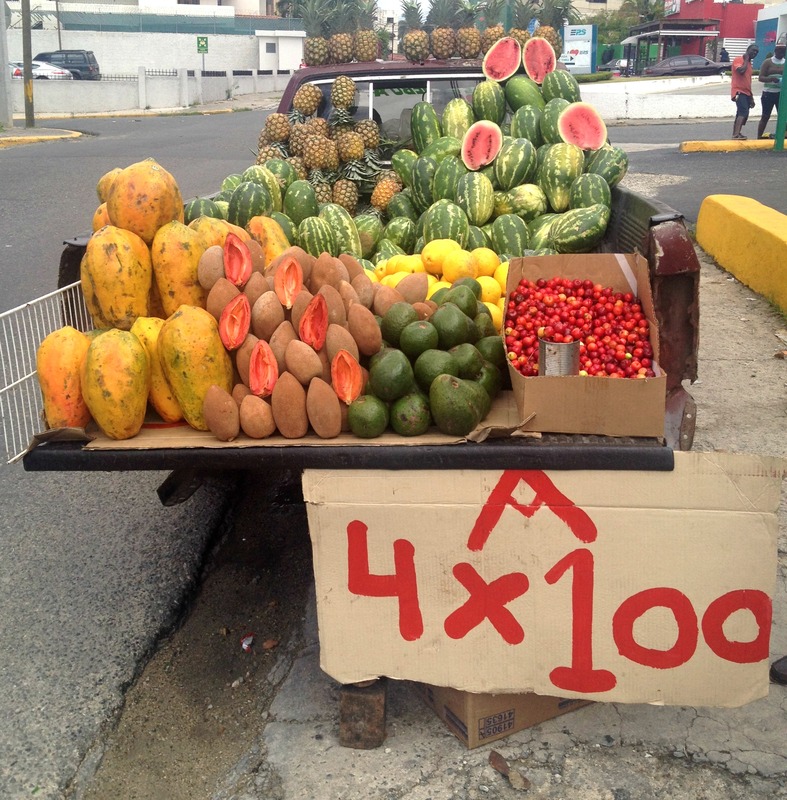 So basically, four pineapples, papayas, watermelons, or avocados for less than $3 US Dollars! Crazy huh?! Mangoes are literally a dime a dozen, and growing up with a mango tree in out backyard was a luxury I don’t think I ever truly valued enough. Nothing said summer more than sitting under the shade of a mango tree with my brothers eating mango after mango, the sticky mango juice running down our hands and arms. Oh, those were the days. Another thing I miss? 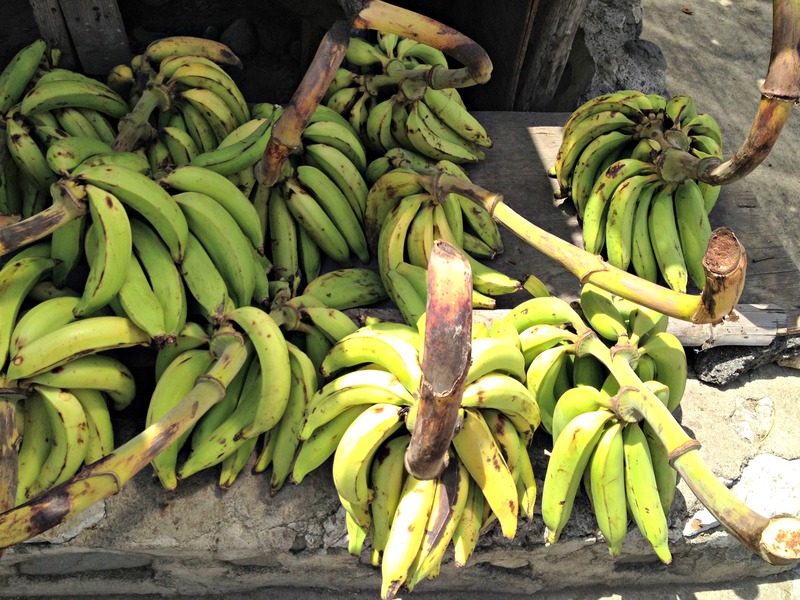 Green plantains – I can get yellow plantains here on Martha’s Vineyard, but the ever so elusive green plantain seems to be non-existent on island. But I need them to make mangu and tostones! What’s a Dominican girl to do? Sigh…keep dreaming about my next trip. Identify the fruit above? It’s tamarind! 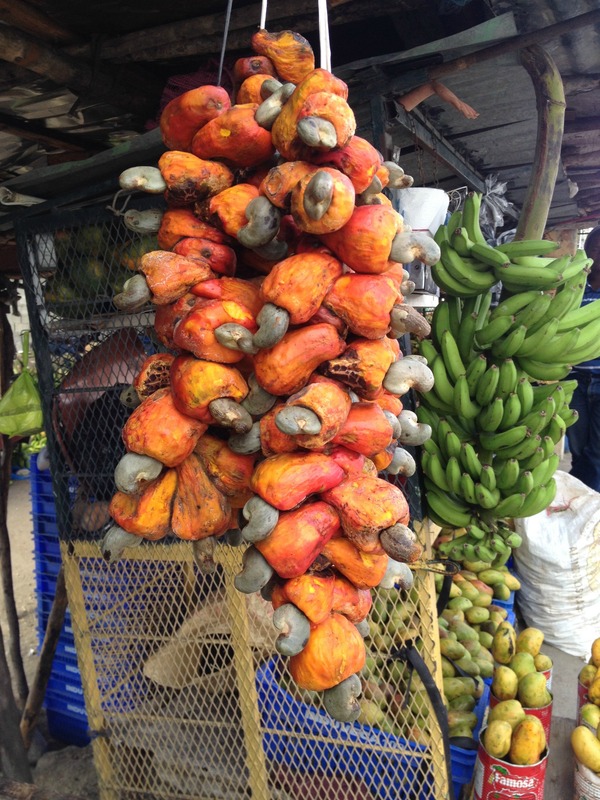 A tart fruit that grows inside pods, it makes some of the best juice in the world! My dad simmers the pulp in water for a couple of hours and then strains and chills it. Later to be sweetened because it’s REALLY tart, it’s a refreshing juice to sip during the summer. 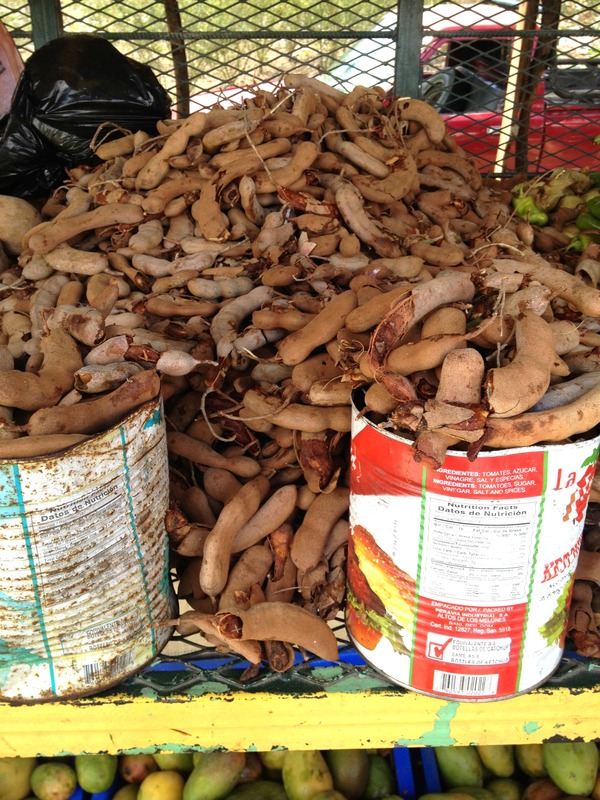 You can find tamarind pulp at most Latin grocers. If you love cashews, you’ll be surprised to see the fruit the come on – the one below is that of the cashew fruit and the nut sits atop the fruit. Only one nut per fruit, it’s understandable that cashews are on the more expensive side. I also miss the greasy, satisfying Dominican breakfasts. 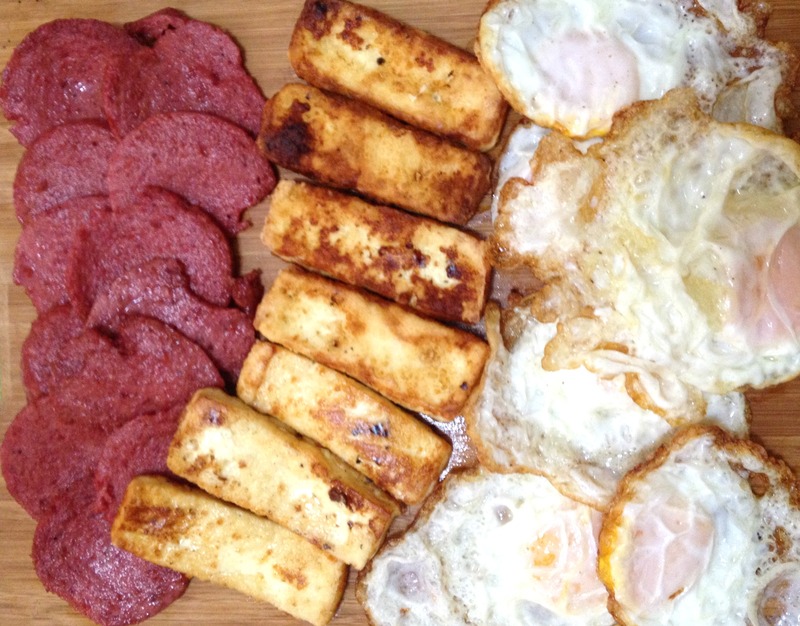 What you see above from left to right is fried salami, fried cheese, and fried eggs. I know – so much fried food. It’s still so delicious! Served alongside mashed green plantains and pickled onions, you have this breakfast once a week as a treat. Whenever I’m home at my parents, my mom asks if I have any special requests and this Asopao de Pollo is always the first one. A Dominican take on Italian risotto – without the constant stirring! 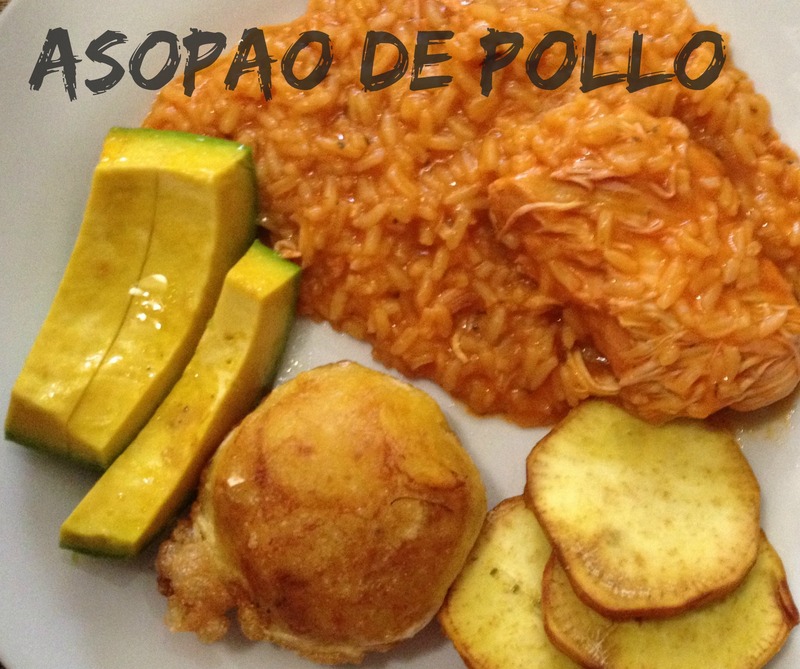 You can get the recipe for my mom’s Asopao de Pollo here. Although true sushi connoisseurs might be shocked to see this outrage called “sushi”, it’s one of my favorite things to eat for dinner back home. Typically covered in thinly sliced ripe yellow plantain, it brings a Dominican twist to a Japanese classic. Being surrounded by water, we have some amazing fresh seafood in the Dominican Republic. While visiting a local restaurant in La Romana called Peperoni, we had this gorgeous lobster dish with a side of sweet plantain rice. The lobster was perfectly cooked! Definitely one of our favorite meals during the last visit. 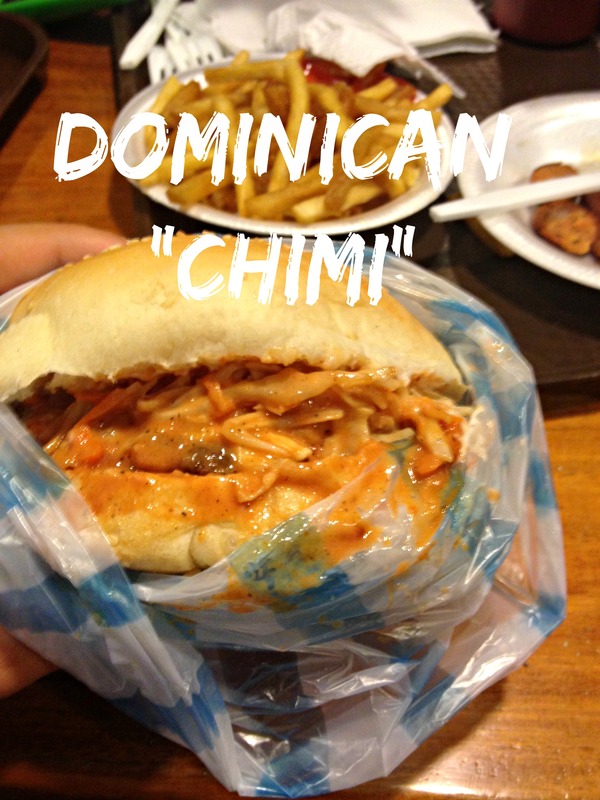 And to end this post, let’s end it with how most Dominicans end the night: with a chimi. Not to be confused with the Argentinian herb sauce called chimichurri, a Dominican chimi is a style of hamburger with cooked vegetable slaw drenched in a mayo/ketchup sauce. Served in a plastic baggie to catch all the drips, it’s the perfect meal after you’ve had too many drinks. How Is Dominican Rum Made? I loved reading this post and going through the photographs. I’ve missed fresh cashew fruit and it looks like the DR has a lot of the similar produce that one sees in India. I must visit! tengo que ir contigo! Ese recuerdo de comer mangó con el jugo escurriéndose por los codos es clásico!!! Y la falta que me hace el tamarindo… acá el plátano verde se consigue en Target super barato (si, ya sé que no tienes Target en MV) pero lo que no consigo ni por equivocación son los guineítos verdes para hacer un buen escabeche. It looks like you had a lovely trip. I’ve never been to the DR but have always wanted to go. I think seeing all that fresh fruit and the delicious food has moved the locale up on my travel wish list! Thanks for sharing your recap! Loved reading about your local foods and seeing the photos!!! Perfect recap of your trip, I hope to visit someday too. My God you are really a Dominican girl. As Dominican girl my self I know what you filling but I live in Miami and I can get pretty much everything even chimichurri but you know what I love and I can’t get here? “mangos banilejos” oh I love those!! . Congratulations for your blog I loved!! Okay, now I have to go to work hungry. Everything looked amazing, but I confess to really wanting the recipe or a guide for the plantain topped sushi. I would guess the rice and rice are treated the same way, so that’s not an issue, but how do they prepare the plantain for the topping? BTW Mayo/ketchup is still popular in Puerto Rico as well – must be an island thing.